I like to design and develop products that help connect people and make their lives easier. I am passionate about integrating tech and design. And I like to lead diverse teams. 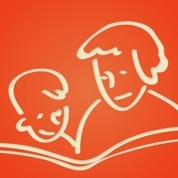 Read stories with distant family using videochat and ebooks (iTunes store). I was a panelist at the BlogHer event in the Mobile Imperative session. Kindoma posts on facebook and twitter.